Even though he knew. But the point of confession was the vocalized recitation of evil deeds; without that there could be no absolution, no relief. 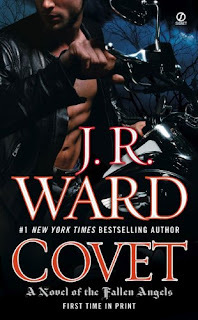 I purchased my copy of Covet by J.R. Ward for the sole purpose of reviewing it for the discussion with the online reading group, Blog With Bite. 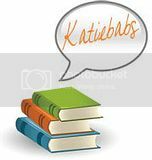 Have you read her Brotherhood series? Ooh, I can't wait to read Covet! Saw it in Forbidden Planet the other week, next time I'm in town I'll definitely pick it up. J Kaye - Yes! I love her BDB series. I actually have Lover Avenged here to read, just as soon as I get the time, lol. Covet is nothing like the BDB series though. That's not a bad thing though!